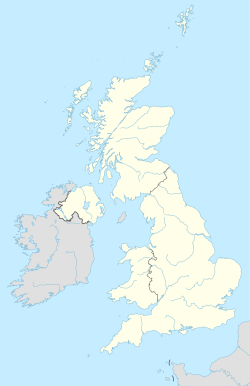 The WV postcode area, also known as the Wolverhampton postcode area, is a group of sixteen postcode districts in England, which are subdivisions of four post towns. These postcode districts cover Wolverhampton, Willenhall and Bilston in the West Midlands, plus parts of south-west Staffordshire and south-east Shropshire (including Bridgnorth). Mail for this area is sorted at the North West Midlands Mail Centre in Wolverhampton. WV postcode area map, showing postcode districts in red and post towns in grey text, with links to nearby B, DY, ST, SY, TF and WS postcode areas. ^ "Non Geographic Codes" (PDF). Royal Mail Address Management Unit. July 2012. Archived from the original (PDF) on 16 September 2012. Retrieved 25 October 2012. ^ "New sectors and localities to 19 October 2012" (PDF). Royal Mail Address Management Unit. 19 October 2012. Archived from the original (PDF) on 13 May 2013. Retrieved 25 October 2012.